I just loved this story! As the end of the Lone Star Brothers series, I was really sad to see them go. I love the sassy, snarky, crazy relationship between the characters and Austin and Owen were no different. Austin’s fastidious, germaphobic tendencies were interesting, and Owen and Josh’s sad tale made me cry. I adore a good hurt/comfort tale and this one really stood out. Austin really took his role of Alpha seriously, his care taking abilities in full steam ahead mode. John Solo is insanely good as voice actor for this series. There is no settling in, trying to learn a new narrator, it just flows so well. There’s always a different voice for the characters and just feels very natural. He is rapidly growing to be one of my favorite mpreg narrators, that is certain. He puts his heart and soul into his work, and it definitely shows. I just love the damaged characters; the emotional ups and downs of someone who has been put through traumas. Seeing them overcome obstacles and find true happiness is the best feeling ever. The author is amazing at getting into her character’s heads…the emotions just leap off the page. I feel like I am there, on the island, with this wonderful group of people who have found their home in each other. This is turning into an amazing series, and I cannot wait for the next installment. I do recommend reading the first installment first, if you have not, as it is really not a standalone story. Charlie just really pulls on my heart strings, and I think he will forever have a special place in my heart. 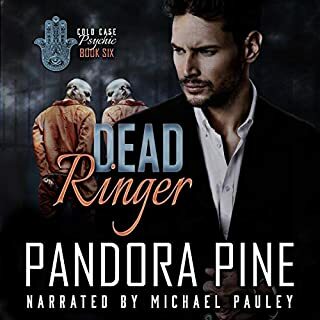 Darcy Stark has a very calm, soothing voice that pulls you into the story, and is quite good at keeping your interest. I really enjoyed his narration. high pitched or falsetto, which is really important to me as well. I liked this book. I love angsty books, and this one has a good bit of it. I knew we’d get our hea, but there were some bumps in the road. I liked the story line, it was interesting and had me nervous for the family. Although it’s a series, I had no issues following alone and it can definitely be read as a standalone. The characters were well developed and I really could feel the chemistry between Houston and Cody. John Solo did an excellent job with his narration, characters were well represented with his different voices. Each were easily distinguished from the others, and as always he is very nice to listen to. A definite recommend from me. Ok, first of all, the cover matches the characters! I really liked that it really captured the essence of Cecil and Ian, in looks and mannerisms. It really comes together amazingly well. The story was really sweetly written. Sometimes you just need a happy, feel good read without a bunch of angst, and this fit the bill. Ok, yeah, I DID cry, but it was that good! It can be read as a standalone even though it is in a series. 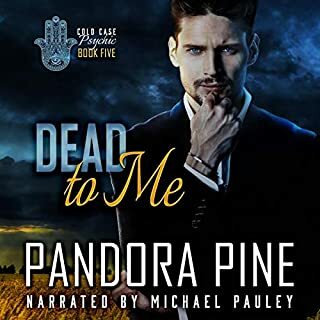 Drew Bacca did a terrific job on this audiobook, especially when he portrayed Cecil reading his friend’s letter. Gah, I cried buckets. It was really enjoyable and if I had any complaints it would be that I wished it was longer in length. Ty and Carter are a good solid couple- well they would be if Ty’s despicable parents weren’t conspiring against them. They came together rather unconventionally but truly love one another. Buckle up for a wild ride, because it seems like they are hit with every obstacle possible. Guy’s narration was good as always. His portrayal of Tracy (typical Alphahole) especially cemented the characters in my head (he got the belligerent, nasty attitude right on the money). Altogether an enjoyable read/listen. I could read about Sawyer and Cooper’s antics endlessly. They are so sweet and fun, their love for each other so enormous and now includes Jackson. The author has an amazing way of explaining each different aspect of how puppy play affects her characters and how they feel when they are in that headspace. Jackson’s absolute devotion to his boys and their wellbeing makes him a perfect master and the perfect third for Cooper and Sawyer. Again performing the audiobook is none other than Kenneth Obi. His love for his craft really shows in his portrayal of this story. I feel like the boys were written just for him. He captures their emotions and personalities so well, I can just picture them in my head as he is performing. I see Cooper vibrating and bouncing, I see Sawyer biting his lip when he’s nervous. I see the love in Jackson’s eyes as he gazes fondly at his boys. Anyone can write sentences. Anyone can read a book out loud. Very few can masterfully bring characters and a book to life as well as this author and narrator duo. This is a fun and steamy listen that you won’t be disappointed in. Out of all this authors characters, Cooper and Sawyer are seriously my favorite (well, tied with Jeremy and Kevin). I just adore them! From Cooper’s sweet innocence, bouncy enthusiasm and endless energy, to Sawyer’s limitless patience, protectiveness and his lack of self-confidence- It just makes me want to scoop them both up and make everything better. Jackson’s extreme confidence is so well written it just bleeds from the pages. It is an excellent first book in the series, and the only thing that can improve on it is the voice talent. Kenneth Obi is a rock star in his chosen field. 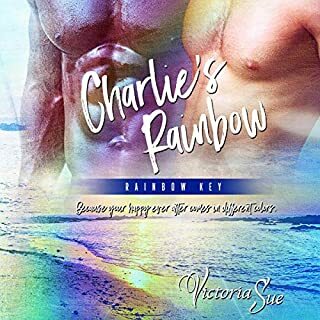 The way he captured Jackson was not a surprise, as he has an awesome deep voice with a sort of growly undertone that is a terrific compliment to this author’s chosen sub genre. But the way he captured Cooper’s playfulness, his innocence and sexual undertones was out of this world. And I can’t forget how Sawyer’s shy, reserved nature just shines under Mr. Obi’s rendition. This is absolutely an enjoyable series to both read and listen to over and over again. Great beginning to a new mpreg shifter series. It’s the first one that I’ve read to feature Selkies. The way they shift was interesting to me, and nothing like I’ve read before. The plot is the typical royal prince must beget an heir, and omegas have basically no rights, and the King is a royal douche canoe plot. And it’s done very well, so I’m happy because I love that trope. I love that love trumps all the royal b.s. and that the new generation will forge new paths. The setup for the rest of the series is well done and very intriguing. I loved the two main characters, their connection, and the fact that they aren’t your typical perfect characters. Kai has some of his father’s traits (he can be a jerk) and Luca was not your typical chaste omega. He’s quirky and fun, but you can get a sense of his underlying vulnerability. The narration by John Solo was as outstanding as ever. I love his voice especially when he is acting the part of the omega type roles. They just suit him very well. I get so lost in his narration because he IS the characters. I can really get a mental picture of his characters as I am listening because he brings them to life. I am very definitely looking forward to reading and listening to the rest of the series, and I definitely recommend this new adventure.